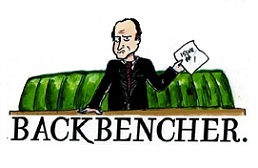 The Backbencher – Does Boris Johnson get the respect he deserves? Does Boris Johnson get the respect he deserves? In short, no, he doesn’t. The foreign secretary simply does not get the respect he deserves not only from MPs but also by the public. However, Mr. Johnson does not help himself by playing the fool whenever he gets himself in front of a camera. This question re-emerged in my mind when Johnson had to defend the Chancellor’s manifesto-breaking budget in the House, and a Labour MP stood and said that Boris is the biggest “threat” to Britain’s foreign policy. Whether she was attacking his view or personality is irrelevant, does she have a point? This is a man who is affectionately known as “Bo-Jo”, and isn’t a stranger to public embarrassment, yet he holds one of the most powerful seats in the country. Boris Johnson has been at the heart of many debates and contests, he was the former Mayor of London, leading figure in the Leave campaign and was a Tory leadership hopeful before Michael Gove infamously stabbed him in the back. Understandably, many people are not the biggest “Bo-Jo” fans; however he has been a very successful politician. Boris has committed many “crimes” that would normally end a politician’s career, yet he still stands. He has had affairs, been caught in zip wires and has even taken out a ten year old Japanese boy in a game of Rugby. However, I fear that his policies are being overlooked and that is in fact his personality that gets most of the scrutiny. This is not good for democracy. Whether this is a genius ploy by Johnson in order to distract us from his views is not relevant because people take the bait. A prime example of this was during the EU referendum, specifically during the ITV debate where Boris along with Gisela Stuart and Andrea Leadsom fought the case for the Leave campaign. It was infuriating to watch as the debate fell away from the referendum and into a series of personal attacks directed at Boris. It is no mystery why the Remain side lost that debate; Amber Rudd, Angela Eagle and Nicola Sturgeon were more focused on gaining political points, which surely benefited the Leave campaign in the end. We can all joke and say that Boris is nothing but simple comic relief in the political world. Nevertheless, the intelligence of this man is extremely underestimated; this goes beyond his education at Eton and Oxford. 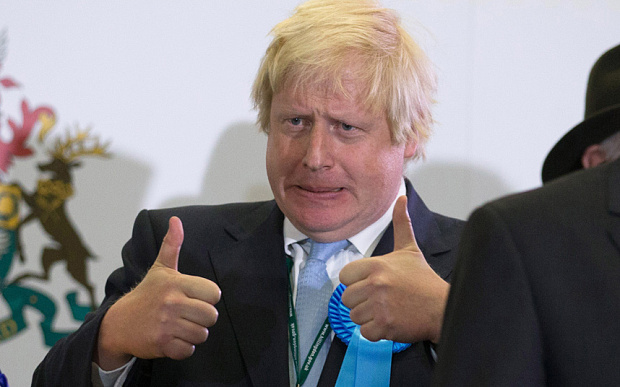 Boris Johnson did not win two London Mayoral elections because he was funny, nor did he become Foreign Secretary just because he was funny. He was formerly Editor of The Spectator (one of the most respected political outlets in the country) and he has held two shadow cabinet positions. The Tory party know that this man has the potential to lead the party and despite his exuberant persona, he is an extremely capable individual. For years, David Cameron was scared of him as the media speculated that Boris was destined to be his successor. His ability to manage humour with professionalism is incredible but it makes him an easy target. However, politicians and columnists need to put aside his personality and target his policies. If this does not happen, and there is a repetition of that TV debate; it will become nothing more than personal attacks, which carry no weight in the political world. This is the man who is representing Britain on the global stage. Only weeks ago, it was announced that Boris Johnson was to go on a state visit to Russia and discuss crucial issues such as Syria and relations with the West. Yet it seems he is not taken seriously nor respected. This issue has been around ever since he was appointed foreign secretary during Theresa May’s reshuffle. A majority of politicians have simply followed the crowd and engaged in personal attacks. If that MP stood up last week and said that Boris Johnson was the biggest threat because of his policy agenda, it would make sense. However, she did not provide a coherent argument and was brushed aside by Johnson who by now is used to the attacks. The idea of holding government officials to account is a fundamental block of British democracy. 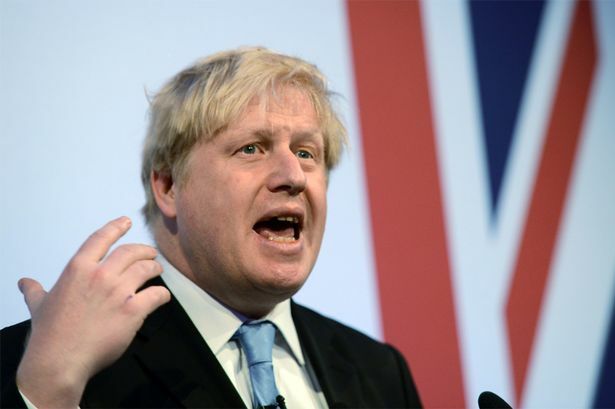 The issue of Boris Johnson and his lack of respect show how it is currently failing. MPs are quick to judge Boris on his persona but what about the issues, no one is well and truly holding them to account. Even when Philip Hammond broke the Conservative manifesto in his budget, Labour did nothing. In fact, Hammond said afterwards that he only realised he broke the manifesto when a BBC reporter told him! Then in PMQs, Jeremy Corbyn had one of the worst performances in the events history as he “missed an open goal” allowing the government to get away with it. An audience member on Question Time heckled Angela Eagle on this point, stating that Corbyn is “useless” and does “nothing”. It was obvious that Angela agreed and you could see the regret in her eyes. The events of this week demonstrated how incapable the opposition is. Their inability to hold the government account was seen across several platforms and the electorate have seen all of it. Boris Johnson does not get the respect he deserves. He is still treated by some parties and individuals as just a political comedian but his work as foreign secretary speaks otherwise. He has been promoting “Global Britain” on his countless state visits since taking office, preparing the UK for its post-Brexit future. However, there has been no legitimate scrutiny of him or any government officials. The popularity of Boris Johnson is only rising and it’s down to the inabilities of the opposition, who have failed the British public. All politicians need to put aside personal attacks and focus more on the issues otherwise; the concept of accountability is meaningless.